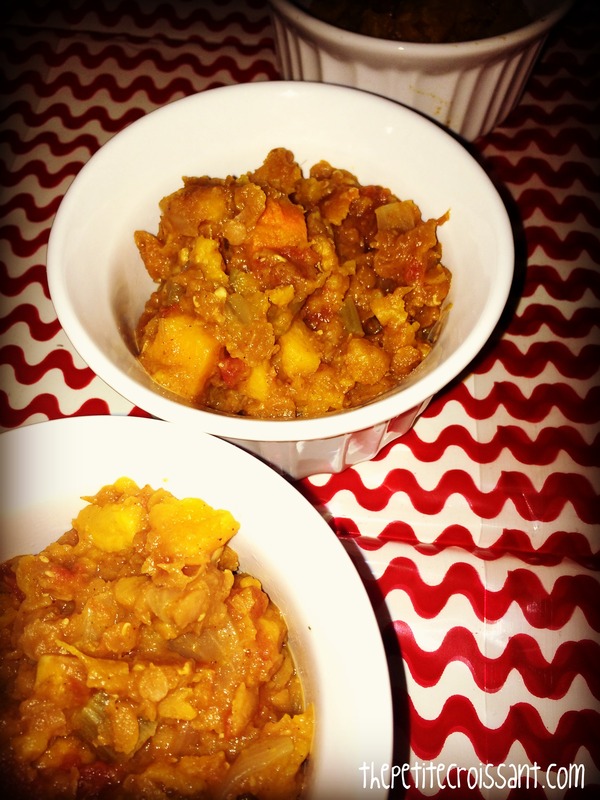 Continuing with healthy recipes, here’s a lentil and sweet potato stew that can easily be made in the crock pot. The most work you have to do for this is some chopping, and then remember to throw it all in the crock pot. If you have a long work day, you can also start this at night and stop it when you wake up. Something you should know about me: I love my crock pot. But every year, I forget about it until it starts to get cold and windy outside. Then I remember how awesome it is and start using it all the time. 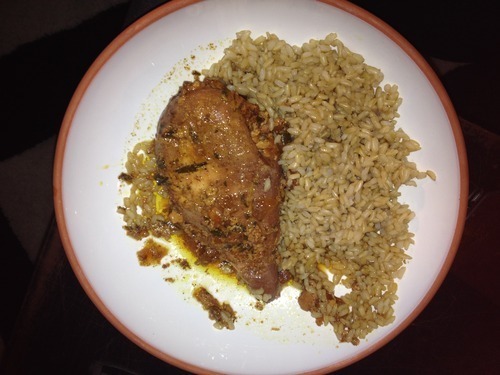 One of my new favorite recipes is this honey chicken recipe I found on Pinterest. The original can be found here. I served it for my parents when they visited, and it was a big hit. I’ve now made it several other times, and each time I love it. It’s cooking in my kitchen right now, and the smell is amazing! The best part is that it is ridiculously easy and healthy. 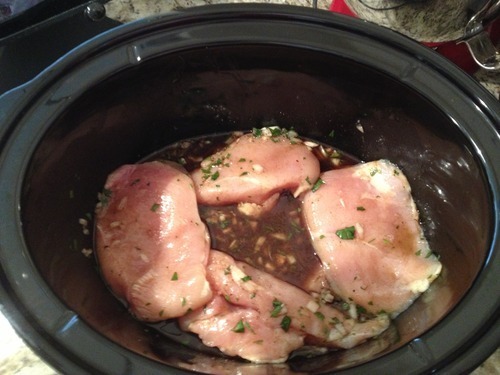 To start you just throw everything in the crock pot. See below.